You will be surprised by the range of responses that you get. 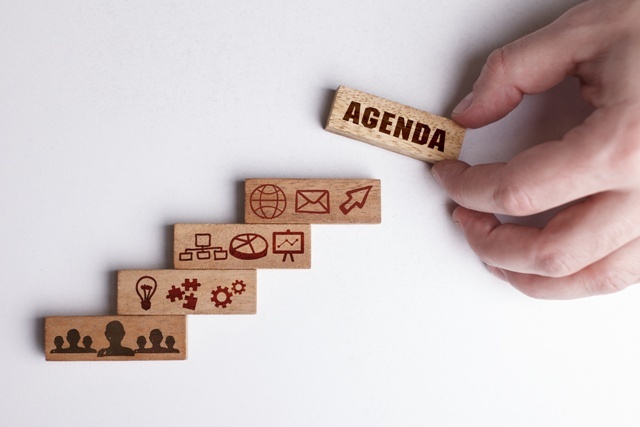 Many leaders think the executive agenda is their organization’s strategic plan. Others think that it is a series of events in the life of an executive. And still others think it’s the actual agenda at an executive meeting. This isn’t the executive agenda. Executive teams that only talk about business targets, growing faster than the market and being a leading innovator are often disappointed that these messages don’t gain traction and create results in their organization. These statements are symptomatic of an underdeveloped or misaligned executive agenda. What is the true purpose of our executive team? Who are the stakeholder groups that we serve and how do they experience our collective output as an executive team? What is our unique contribution? What is it that only we can deliver to our organization and business? What are the best practices, team rules or standards of excellence that hold us accountable to each other and our organization? Real executive teamwork on these questions creates aligned understanding and a strong foundation on which you can build your executive agenda.